Dwiartama, A. (2018). ‘From disciplinary societies to societies of control: an historical narrative of Agri-Environmental Governance in Indonesia.’ In Jeremie Forney, Chris Rosin & Hugh Campbell (Eds). Agri-environmental governance as an assemblage: multiplicity, power, and transformation. London, UK: Routledge Publishing. Rosmiati, M., & Dwiartama, A. (2018). Strategi Pengembangan Keberlanjutan Pangan (Kasus Komoditas Cabai Merah di Kabupaten Garut). Jurnal Agribisnis Terpadu 10(1). Dwiartama, A. (2017). Achieving food security through alternative food movements: insights from Bandung. Green Initiative Week in Indonesia Joint Program on Green City and Architecture with South East Asian Countries, Jakarta, Indonesia, 28 October – 4 November 2017. Dwiartama, A., Tresnadi, C., Furqon, A., & Pratama, M. F. (2017). From Initiative to Movement: The Growth and Evolution of Local Food Networks in Bandung, Indonesia. Asian Journal of Social Science Studies, 2(4), 91. Rahmah, A., Rosmiati, M., & Dwiartama, A. (2017). Rantai Pangan Berkelanjutan: Kasus Komoditas Cabai di Kabupaten Garut. Agricore, 2(1). Dwiartama, A. & Suheri, T. (2016). Youth, identity, and community resilience: an ethnographic record on a social transformation in the periurban of Bandung (in Bahasa Indonesia). Jurnal Analisis Sosial AKATIGA 20(1-2): 197-215. Dwiartama, A., Budi, E.M, Sarwono, J., Ekawati, E., Pratama, M.P., Hersaputri, M., Aprilia, E., & Listyana. (2016). Pemanfaatan sumberdaya hayati berkelanjutan melalui Indikasi Geografis: bambu temen surade sebagai bahan baku angklung padaeng. Prosiding Seminar Nasional Pendidikan Biologi & Biologi FMIPA UNY, 26 November 2016. B-13 pp.143-155. Dwiartama, A., Rosin, C., & Campbell, H. (2016). ‘Worlds of Rice: Understanding agrifood systems as assemblages’. In Richard Le Heron, Hugh Campbell, Nick Lewis & Michael Carolan (Eds). Biological Economies: Experimentation and the politics of agrifood frontiers. London, UK: Routledge Publishing. Dwiartama, A., Neilson, J. & Permadi, D. (submitted, under review) Hilirisasi: Resource-based industrialisation (RBI) in the Indonesian coffee and cocoa sectors. 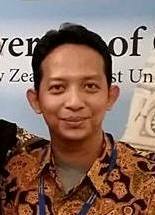 Submitted to Bulletin of Indonesian Economic Studies. Dwiartama, A. (submitted) Indigenous food systems. Submitted as a chapter in Routledge Handbook of Sustainable and Regenerative Food Systems (Eds: Jessica Duncan, Michael Carolan, and Han Wiskerke). Routledge. Dwiartama, A. & Dixon, J. (in prep.) Looking into urban food ways and food desert in Southeast Asian context. To be submitted to Geoforum. Dwiartama, A. (in prep.) Assembling the agro-digital landscapes in Indonesia: a preliminary study. To be submitted to Sociologia Ruralis. Piatti, C. & Dwiartama, A. (in prep.) Provenance for Whom? A Comparative Analysis of Geographical Indications in the EU and Indonesia. To be submitted as a chapter in The Role and Significance of Geographical Indication as a Tool for the Development and Democratization of Agri-Food (Eds: A. Bonanno, K. Sekine & H. Feuer). Routledge. Dwiartama, A. (in prep.) Historicizing Indonesia’s position within the global agriculture and food relations: a sociological narrative. To be submitted to Asian Social Science. Neilson, J., Morrison, M., Dwiartama, A., Utami, R., Patunru, A., & Pritchard, B. (2017). Food Processing and Value Chain Development in Indonesia. The Australia-Indonesia Centre. Riqqi, A., Dwiartama, A. & Afriyanie, D. (2017). Environmental Management Planning for West Java Province. Technical Report for the Regional Environmental Agency of West Java. Dwiartama, A., & Iriani, P. (2016). A Biodiversity study of Kampung Blekok (Ardeola speciosa) in Bandung. Research Report for PT. Pertamina (Persero). Dwiartama, A., Iriani, P. & Suroso, A. (2015). A monitoring report on the implementation of Biodiversity Management Plan (BMP) in the construction of Access Roads for the development of Upper Cisokan Hydroelectric Dam. Technical Report for PT. PLN (Persero). Dwiartama, A., Fukuda, Y., Woodford, K., Manhire, J., Moller, H., Mavromatis, G., … & Rosin, C. (2013). International research collaboration for agricultural sustainability: opportunities for partnership with the New Zealand Sustainability Dashboard. The NZ Sustainability Dashboard Research Report 13/11. Published by ARGOS. Rosin, C., Dwiartama, A., & Hunt, L. (2012). Policy Approaches to Environmental Practice in Agriculture: a review of international literature and recommendations for application in New Zealand. ARGOS Research Report 12/11. Dwiartama, A. The growth and evolution of Alternative Food Networks in Bandung, Indonesia. The 24th International Conference of the Agri-Food Research Network, 3 – 5 December 2017, Bandung: Indonesia. Dwiartama, A., Neilson, J. & Permadi, D. Hilirisasi: Resource-based industrialisation (RBI) in the Indonesian Coffee and cocoa sectors. The 24th International Conference of the Agri-Food Research Network, 3 – 5 December 2017, Bandung: Indonesia. Riswanti, I., Dwiartama, A. & Sjarmidi, A. The coffee, the civet and the certification: on the creation of standards for the most expensive coffee in the world. The 24th International Conference of the Agri-Food Research Network, 3 – 5 December 2017, Bandung: Indonesia. Alwasilah, M., Dwiartama, A. & Rosmiati, M. Perceptions of organic among farmers in West Java, Indonesia. The 24th International Conference of the Agri-Food Research Network, 3 – 5 December 2017, Bandung: Indonesia. Dwiartama, A., Rosin, C. & Campbell, H. Resilience in the making: a review of the New Zealand kiwifruit industry as an assemblage of multiple actors. The European Society of Rural Sociology (ESRS) Congress , 29 July – 1 August 2013, Florence: Italy. 2018 Building a foundation for regional food security and food sovereignty. Invited Speaker at the leadership training for 2nd Echelon Civil Servants, July 2018. 2018 Tracing Our Ecological Food Prints. Invited Speaker in KAIL Sharing Day, May 2018. 2017 Introduction: a brief overview of agriculture in Indonesia. Mentor at the Agrifood XIV Pre-Conference Workshop for postgraduate students, November 2017. 2017 From a disciplinary society to a society of control: an historical narrative of agri-environmental governance in Indonesia. Invited Speaker at the University of Neuchatel’s Public Symposium on Agri-environmental governance, Neuchatel, Switzerland, September 2017. 2017 Agro-ecologie: defis agricoles en Indonésie. Invited Speaker at the University of Neuchatel’s Students’ Movie Playing on Sustainability, Neuchatel, Switzerland, September 2017. 2017 Building food security through alternative food movements. Invited Speaker at Forum for Young Indonesians (FYI), Jakarta, July 2017. Food as embodied politics. PRO:Aktif Online, May 2018. Understanding the incompatibility between indigenous community’s local wisdom and modern lifestyle. PRO:Aktif Online, January 2018. Tracing the meanings of food security. PRO:Aktif Online, August 2014. Food in the grasps of capitalism. PRO:Aktif Online, August 2014. Adzani Ghani Ilmannafi’an. Resilience of Cieunteung rural community in the face of floods. Master’s Student in Biomanagement. 2014 (graduated). Reina Yulianti. Vegetation management along the green corridors connecting two recreational parks in Bandung. Master’s Student in Biomanagement. 2014 (graduated). Aulia Rahmah. Sustainability of agri-food supply chains: a case of chili pepper in West Java. Master’s Student in Biomanagement. 2015 (graduated). Ine Riswanti. Creating a sustainable luwak coffee through an integration of animal welfare standards. Master’s Student in Biomanagement. 2015 (graduated). Mentari Qorina Alwasilah. Perceptions of organic among vegetable farmers in Bandung. Master’s Student in Biomanagement. 2016 (graduated). Dikdik Permadi. Re-embedding meanings on Geographical Indications: A case from Gayo coffee, Indonesia. Master’s Student in Biomanagement. 2017. Mochammad Fikry Pratama. Management of community-based local fruit production and conservation for food and nutritional security. Master’s Student in Biomanagement. 2017. Luthfi Dwimulya. Evaluating the implementation of urban farming program in the city of Bandung. Master’s Student in Biomanagement. 2017. Muhammad Maulana Sidik. Exploring agro-digital futures in Indonesia. Master’s Student in Biomanagement. 2018.